I have worked with 4 other trainers before Nick and there is no comparison! Strength Coach. Personal Trainer. Manual Therapist. Powerlifter. Martial Artist. Writer. Nick is a blend of all of these and more. Nick has been studying the performance of the body day in and day out for years; with the realization that there is and probably always will be much more to learn. He is the President and Founder of Rosencutter Ultra Fitness & Performance, his training facilities in the Milwaukee area of Wisconsin. He opened his first facility in July 2012 and has expanded and helped many people of all walks of life achieve their goals ever since. Nick had the great privilege of studying and earning his degree in the nationally reknowned exercise & sports science program at the University of Wisconsin La Crosse, where he dove into the professional world of strength & conditioning and fitness. Nick has worked under some of the most respected and sought after trainers and specialists in the world and has helped clients of all varieties reach their goals, look better, feel better and perform better; including fat loss, various levels of athletes, and even those with disabilities. Realizing the profound impact that hands on therapy can have when combined with the right training, he also graduated with his diploma in massage therapy from the highly renowned program at Lakeside School of Massage Therapy. 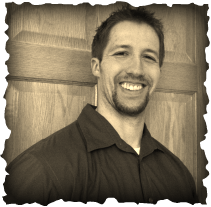 He is a Certified Strength and Conditioning Specialist and Certified Personal Trainer through the National Strength and Conditioning Association, and is also a Nationally Certified and Licensed Massage Therapist and Full Body Certified Active Release Techniques (ART) provider with an Elite Provider designation. 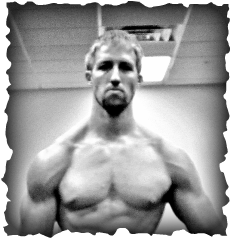 To name a few of his long list of experiences, he has spent extended time interning at Indianapolis Fitness and Sports Training, which was named one of America's Top Ten Gyms by Men's Health and is owned and operated by two of the most respected and knowledgeable experts in the industry in Mike Robertson and Bill Hartman. Here he received extensive training in corrective exercise and analyzing and fixing muscular imbalances and postural faults, as well as many athletic and fat loss protocols. He spent hundreds of clinical hours working with both athletic and general populations in UW-L's strength centers, including personal training, strength and conditioning coaching and weight room supervision. He has lead youth fitness programs and assisted with wellness promotions. Nick also worked with employees of ORC Industries in their wellness center for over a year, and has worked with a multitude of clients in multiple gyms and training facilities. During his time in Greenfield, Nick has worked with leading players from Franklin High School's consecutive state champion baseball teams, Greendale High School Football, St Francis Fire Department, Pettit Speed Skating and hundreds of others ranging from various athletes to multiple serious fat loss and pain syndrome clients. 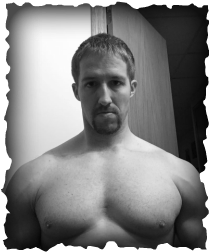 He currently takes clients at his facility in Greenfield, WI, Rosencutter Ultra Fitness and Performance and heads up the strength and conditioning program at Greendale High School. Nick also provides ART manual therapy treatment at Emerson Climate Control and SC Johnson for company employees. 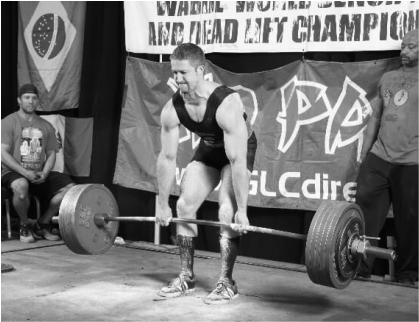 Athletically, Nick is a competitive powerlifter with multiple state records and titles and has been training in the trenches himself for over 15 years. His current best lifts include a 655.87 lb deadlift, 500lb squat and 358lb bench press weighing between 181 and 190. He also holds a one stripe blue belt with Gracie Jiu Jitsu. 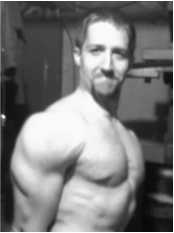 He has authored articles for various publications including material for the reknowned Bulletproof Back and Knees and Complete Core Fitness, STACK magazine and is a contributor/co creator of the third edition of the world reknowned Muscle Imbalances Revealed series- Assessment and Exercise. He has been featured on Fox 6 News, the Milwaukee Journal Sentinel and has presented for various organizations including the NSCA and Mabas Fire and EMS conferences. He has spent and continues to spend lots of time in the trenches through training himself and others, and studying to become as knowledgeable as possible in order to better meet your needs. Whether you are looking to lose fat, build muscle and get in great shape; get ready for your upcoming season; or get rid of back, knee or shoulder pain and fix postural faults, he is ready to help you reach your goals. Combining his extensive and unique array of knowledge in both strength and conditioning and therapeutic modalities allows him to help you more effectively in all aspects of movement, performance and your body. This site will feature information on movement, performance, fitness, therapy, success and more. It is his hope that you can learn or pick up some information that may help you on your journey to your goals.